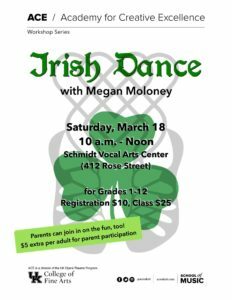 Irish dancing in Lexington: Join us for our own kind of March Madness! It’s St. Patrick’s season, which for Bluegrass Ceili Academy isn’t just a day — it’s almost a whole month of events and activities! Here’s a quick rundown of where you can find us Irish dancing in Lexington this month, as well as links to more information for each of the events. 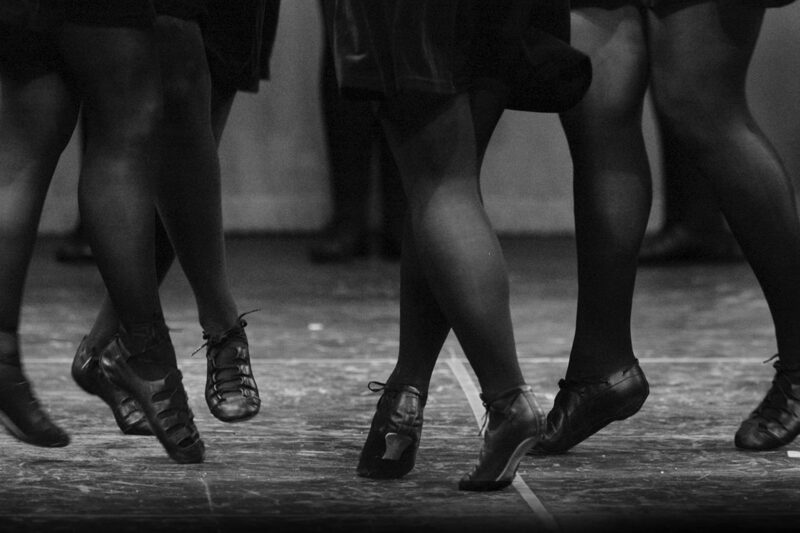 It’s our very own kind of Irish dancing March Madness — and we hope you’ll join us for an event! Saturday, March 11 at 10:45 a.m – Join us for our Lexington St. Patrick’s Festival Performance at the Robert F. Stephens Courthouse Plaza for a wee bit of Irish dancing in Lexington. Show up and you may just end up dancing with us on stage! Click here for more details. Saturday, March 11 at 1 p.m. – Keep an eye out for us in the 38th Annual Alltech Lexington St. Patrick’s Parade. We’ll be riding on the Connemara Golf Course float! 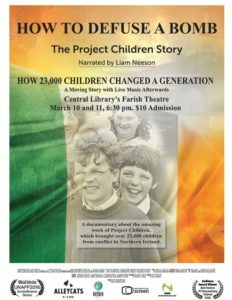 Friday, March 10 & Saturday, March 11 at 6:30 p.m. – Bluegrass Ceili Academy is sponsoring the Kentucky Premiere: The Project Children Story. It’s a night of movies and music…an award winning documentary from the BBC and a performance by Gypsy’s Wish from Northern Ireland. Click here for more details. Friday, March 10 at 7 p.m. – Come meet the 2017 Kentucky Rose of Tralee candidates and escorts at the Spiders Well at McCarthy’s Irish Bar in downtown Lexington. It’s your chance to meet the wonderful young woman sponsored this year by Bluegrass Ceili Academy. Click here for more details. St. Patrick’s Day, Friday, March 17 from 6 – 9 p.m. – Celebrate St. Patrick’s Day and join as we bring our love of dance and music to the Woodford Theatre stage as part of the “Something Extra” series. Learn about traditional Irish dancing and then give it a try yourself! It’s an evening of Irish culture featuring a Q&A with the cast of Translations, Woodford Theatre’s next production. Click here for more details. 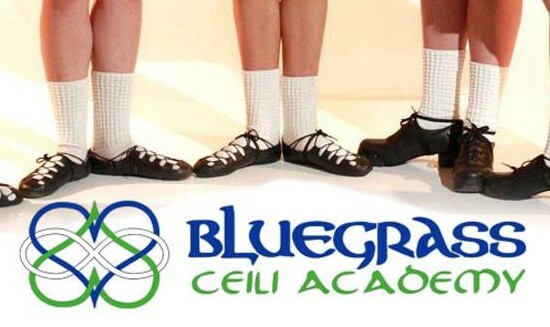 Saturday, March 18 from 10 a.m. – 12 p.m. – Join Bluegrass Ceili Academy as we head to the Academy for Creative Excellence to teach a workshop for students in Grades 1-12. Parents who register their children can also join the class, adults without kids as well. Click here for more details. Want more Irish dancing in Lexington?